Critique groups work. Writers recognize the missing signposts, the scenes that speak to the reader and those that don't. Don’t try to kid a writer. If it doesn’t work, they know it. This is the value of critique. Writers are the best evaluators of other writers. Why? They have spent much of their lives reading books, opinion columns, newspapers, magazine pieces. They know the “map” of good writing like the back of their hand. What a gift to give each other. What a joy revision can be in a supportive environment that encourages voice. You can read and reread your pages, but it is the objective reader who “sees” gaps, the need for more description or dialogue . . . the author's voice missing from the piece. Where is it going? What does it say? Does it hold the reader's interest? Coffee, vanilla-scented candles, a bookshop brimming with bookcases reaching to the ceiling all add to the creative process at Wellington Square, an independent bookstore in Exton, Pennsylvania that hosts the Women's Writing Circle. Our critique group differs from the monthly read-arounds in that we work on polishing pieces, with an eye toward publication. We critiqued a work-in-progress about motherhood, a memoir-based short story and a book review. The willingness and desire for editing meant we were truly present with our work. Sometimes, people shy from editing because their inner critic is creating havoc with confidence. Editing is viewed with trepidation. Trepidation stifles the muse. It is the writer who is secure in herself who relishes constructive and intelligent criticism, especially in a circle of support and acceptance. An experienced book editor, journalist and author, Susan received her BA in Literature from American University and her MS in Education from the University of Pennsylvania. 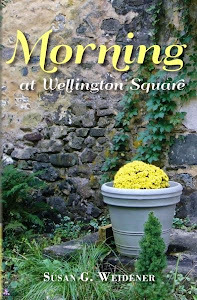 Her memoirs, Again in a Heartbeat, and its sequel, Morning at Wellington Square, have received critical acclaim. 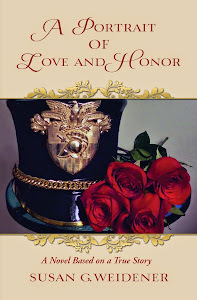 Her novel, A Portrait of Love and Honor, is based on a true story. 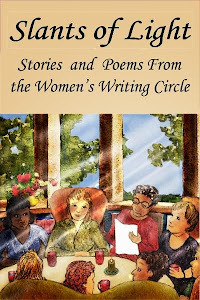 A former staff writer with The Philadelphia Inquirer, Susan started the Women's Writing Circle in suburban Philadelphia to empower women to write and find voice through memoir, fiction and poetry. The group offers critiques, read arounds, networking and book authorship opportunities. 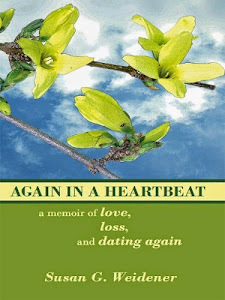 Susan also offers writing workshops and teaches memoir and fiction. She lives in Chester Springs, PA.
Every Writer Needs A Bit of "Paris"
Musings of a Memoir Writer: Memoir or Autofiction? 2010-2019 Susan G.Weidener content copyrighted. All rights reserved. Awesome Inc. theme. Powered by Blogger.